Mick Maurer brings more than 25 years of leadership experience across aerospace and industrial divisions of United Technologies Corporation. Senior executive positions included President of Sikorsky Aircraft Corporation and Senior Vice President, Global Operations for the Otis Elevator Company. Prior to joining United Technologies, he was an officer in the U.S. Navy’s nuclear submarine program, performed research at Los Alamos National Laboratory and taught physics at the U. S. Naval Academy. 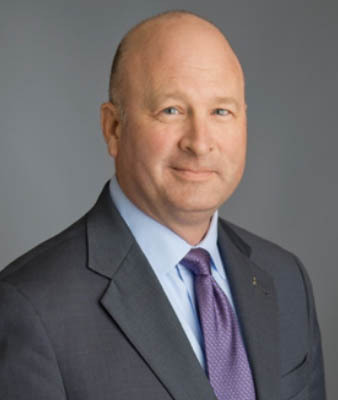 Mick served as the chairman of the American Helicopter Society, co-chair of the governing board for the MIT Leaders for Global Operations program, on the board of directors for Bridgeport Hospital and on the board of directors for Junior Achievement of Western Connecticut. He holds a bachelor’s degree in physics from the U.S. Naval Academy, a master’s degree in electrical engineering from Johns Hopkins University and an M.B.A. from Stanford University.